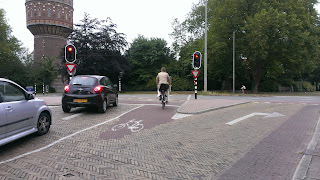 The bicycle box was a treatment that came from European traffic engineering practice. 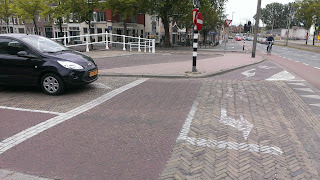 The Delft community does not have that many bike boxes, but this is one in the north part of town that is constructed in different colored brick. 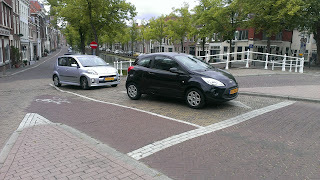 The street these cars are on is Noordeinde and the intersecting street is Wateringsevest.